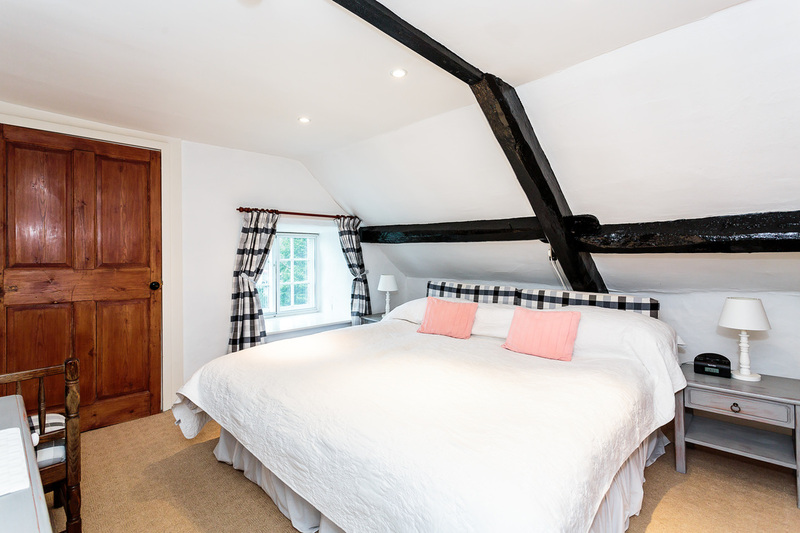 Each room in our beautiful grade II listed Georgian home has its own personal character and original features, including beautiful timber-framed sash windows, pitched ceilings and original beams. 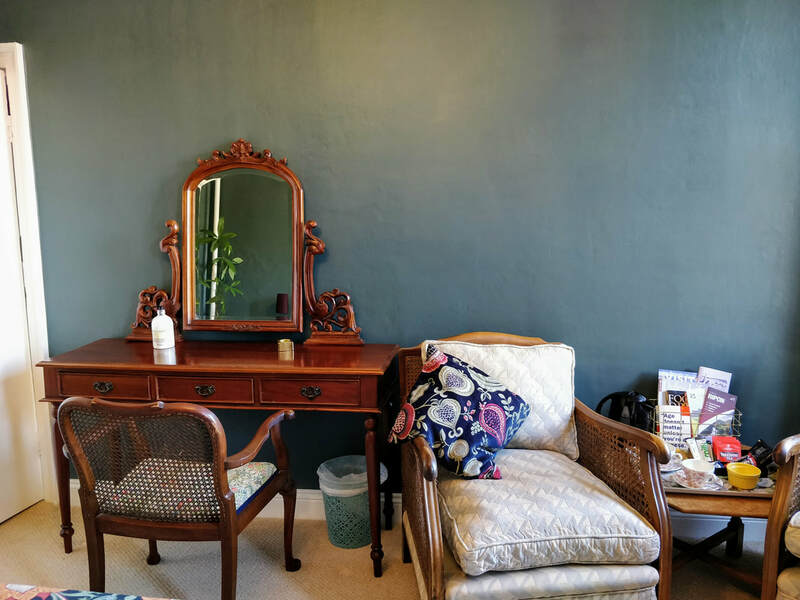 Your unique room will be comfortable, welcoming, clean and homely. Your bed will be dressed in quality pressed linens and a range of comfortable pillows. 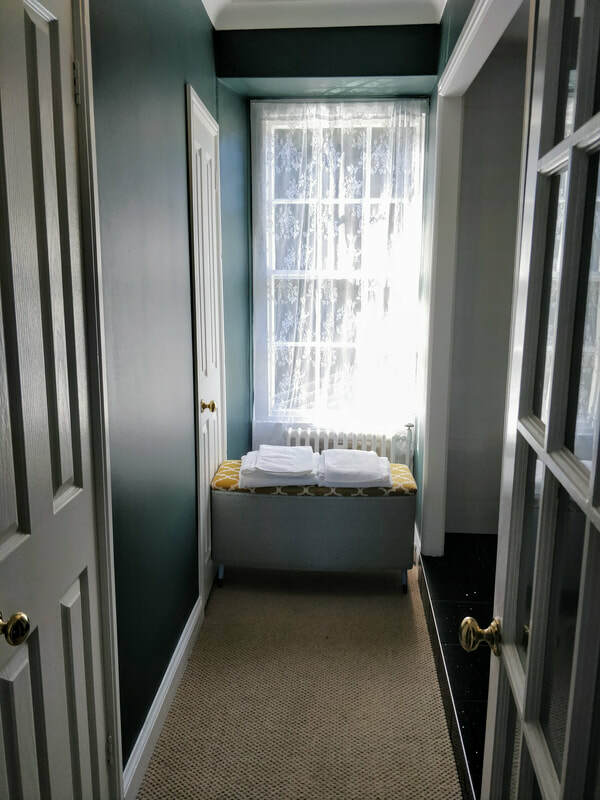 Your bathroom facilities include a range of toiletries, hand towels and bath sheets. A hairdryer, dressing gown and slippers are provided for your comfort. 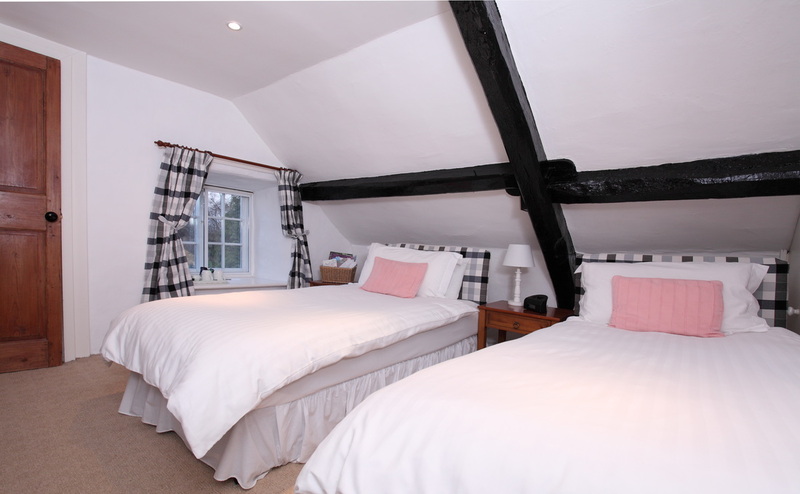 You can also adjust the heating to ensure your room is the perfect level of cosy or cool for a good night's sleep. 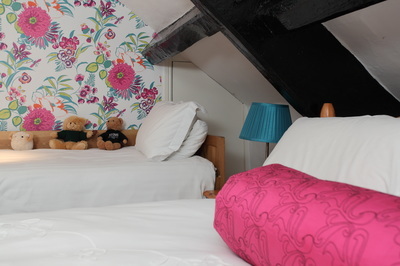 Every room has a kettle and range of beverages, a flask of fresh milk offered when you arrive. If you'd prefer to have a welcome drink and treat in one of our many guest areas on arrival, be our guest. 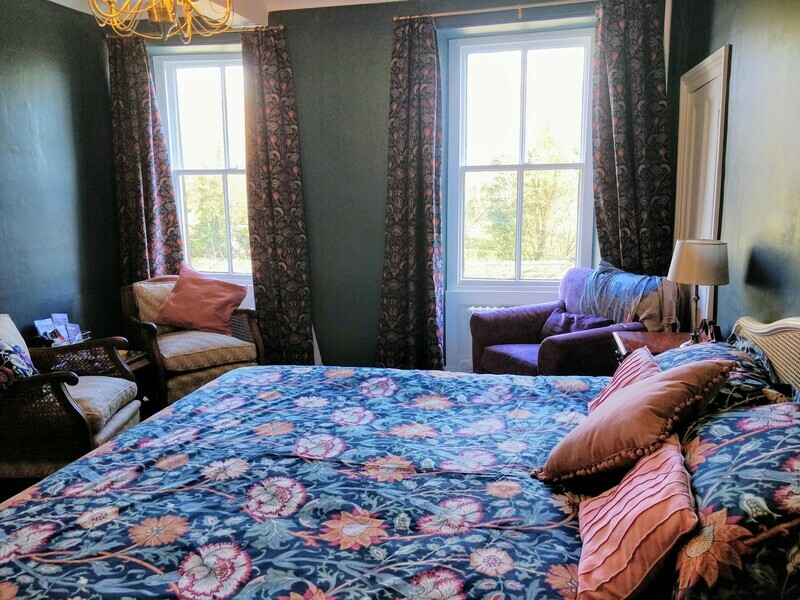 This newly renovated (March 2019) suite has been decorated in homage to William Morris, pioneer of the arts and crafts movement, as is fitting to the age of the house and beautiful period features. You can gaze out of the Georgian sash windows at the garden or parkland beyond. It features a superking width bed which can be separated into a twin arrangement at your request. You also have your own seating area, walk in wardrobe and modern ensuite with spacious dual head shower. 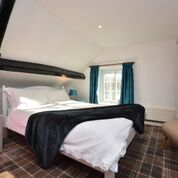 Super-king size or twin room with en suite. Large comfortable bed can be super-king size or separated into a twin arrangement. En suite shower room and dressing table. 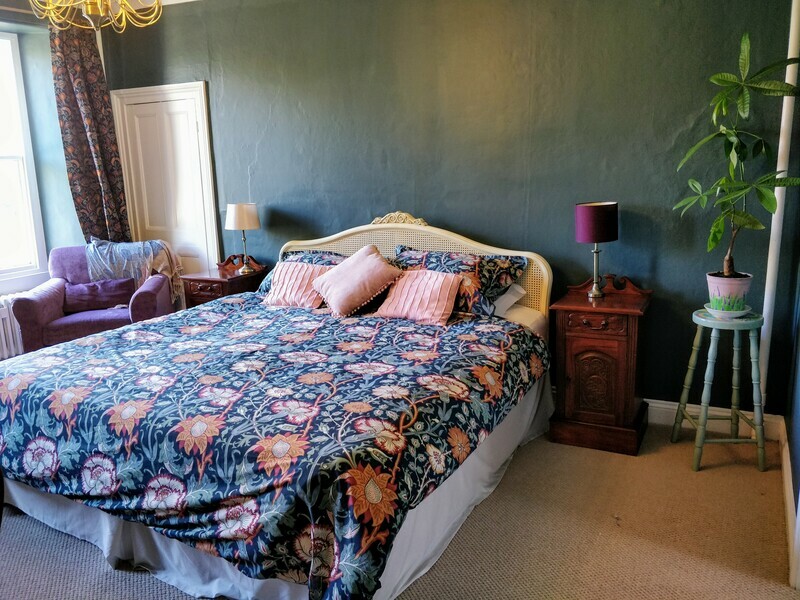 Standard double bed with an additional day bed. The additional bed means that this room can have the option of being double, twin, or triple. En suite room with walk in shower. The single cabin bed is ideal for a child, and being a full size single is perfectly comfortable for an adult. 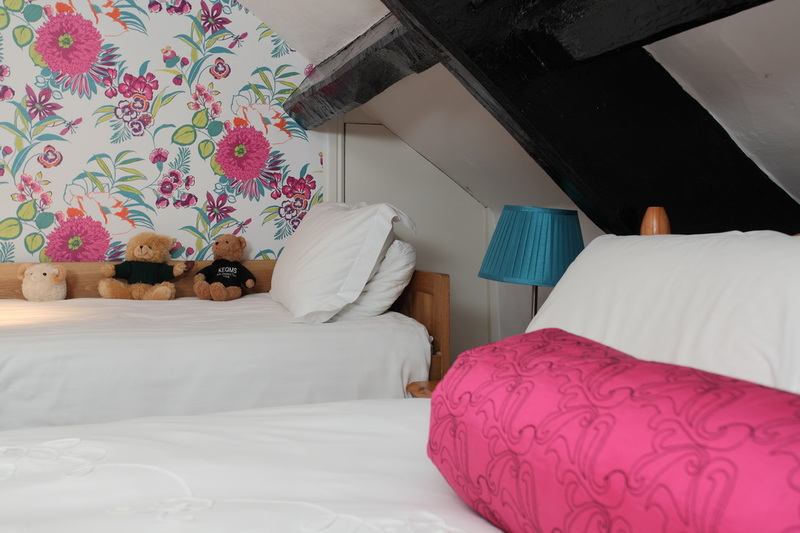 We will admit that this room will be on the cosy side for three adults. 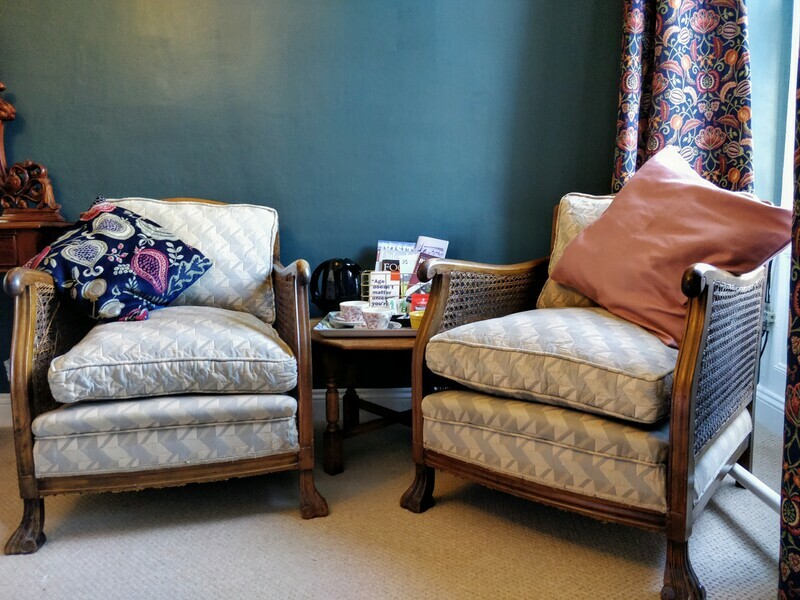 There is however plenty of seating downstairs to meet and relax in. It does offer an economic option for three friends. N.B. See separate charges when booking for use of both beds. 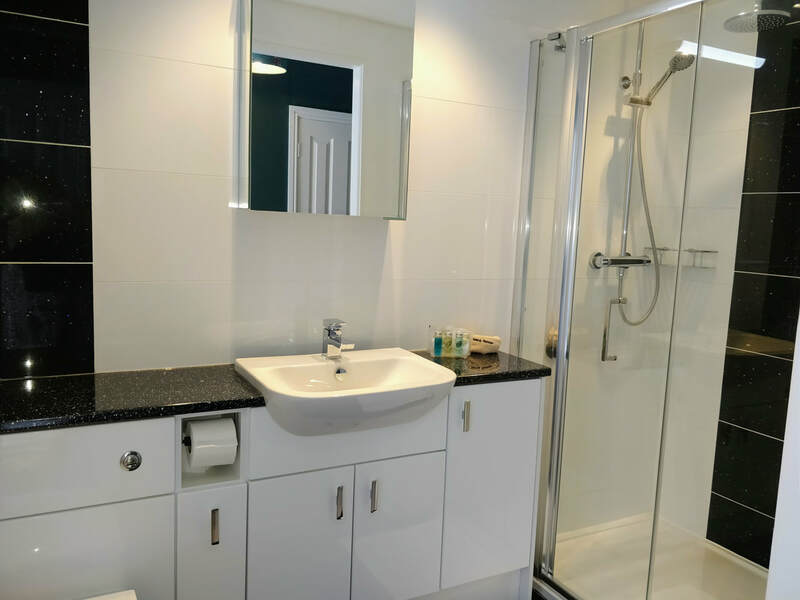 The sink and toilet are in an enclosed en suite room with the walk in shower in the bedroom. 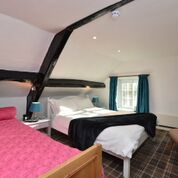 ​Our lowest priced room has the shower and a basin in the room, and a separate toilet room, for private use, just across the landing.